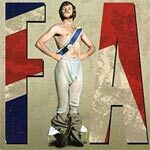 Plot Outline: Adapted by George MacDonald Fraser from his novel, Royal Flash gives us that energetic cad, Harry Flashman (MALCOLM MCDOWELL), taking reluctant if opportunistic part in 19th-century history. Here, he’s involved into a plot engineered by the fearsome Otto von Bismarck (OLIVER REED) and must utilize all his wily talents to emerge unscathed. 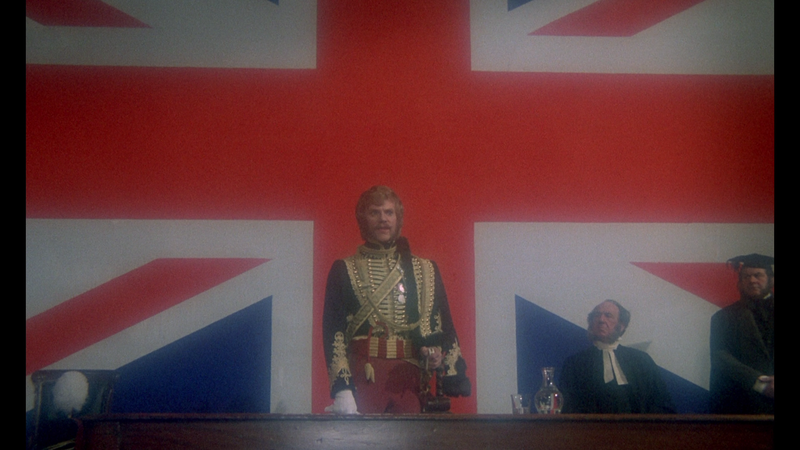 Directed by Richard Lester and also starring Alan Bates, Florinda Bolkan, Britt Ekland, and a host of superb British character actors: Tom Bell, Joss Ackland, Christopher Cazenove, Lionel Jeffries, Alastair Sim, Michael Hordern, Bob Hoskins, and David Jason. 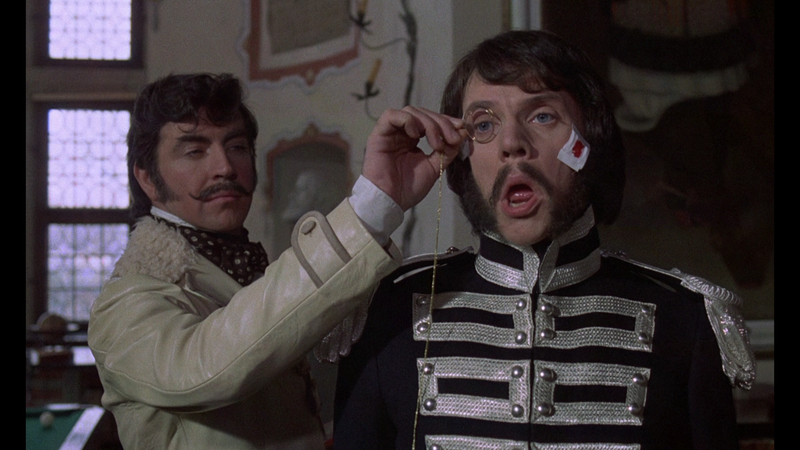 Along with a 6-page picture/essay booklet, the features include: Audio Commentary with Actor Malcolm McDowell and Film Historian Nick Redman with the latter serving as a moderator and McDowell recounting tales from the set and how he got the role; Inside Royal Flash (7:44; HD) and Meet Harry Flashman (14:26; HD) featurettes, both of which were recently filmed; and the Original Theatrical Trailer (1:02; SD). 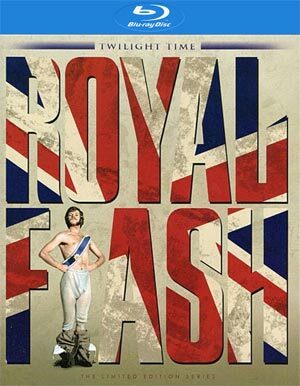 Royal Flash arrives on Blu-ray via Twilight Time presented in its original 1.66 widescreen aspect ratio and a 1080p high-definition transfer. The transfer looks absolutely pristine, free of artifacts and pixilation and it appears the cleanup job done, outside of some brightness in the beginning (which probably was intentional), colors look well balanced and detail levels are sharp and nicely defined. The disc includes a 2.0 DTS-HD Master Audio track with clear dialogue levels with the rockus music blaring through the channels with relative clarity. It’s nothing astounding but considering the source material, still effective and satisfying. 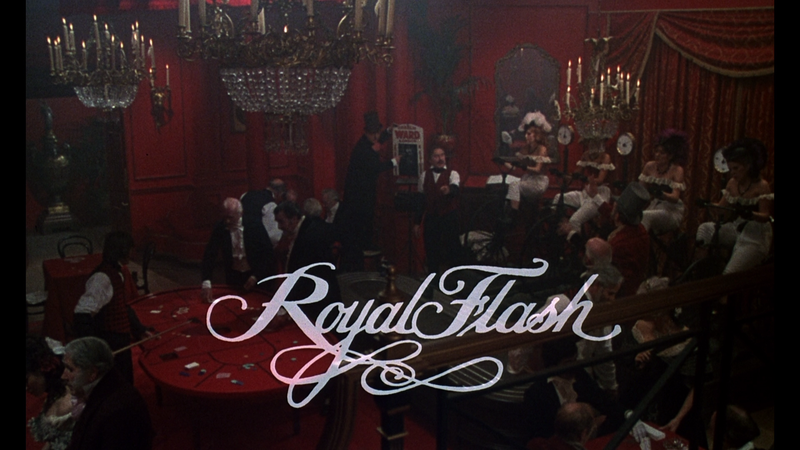 Overall, Royal Flash is a fun adventure-comedy with what is a deplorable central character but played so perfectly by the energetic and personable Malcolm McDowell, though from my reading, fans of the novel weren’t overly thrilled with the adaptation. This Blu-ray released by Twilight Time offers excellent audio/video transfers and the features are decent enough highlighted by a commentary by Malcolm McDowell.